Unlike the three editors mentioned above, Snipshot is not a flash based editor. 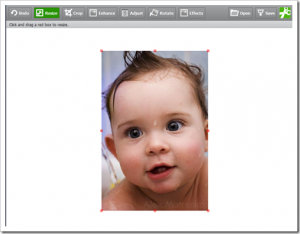 It’s a highly responsive, Ajax powered image editor. So, this should be your choice if stranded in a computer having no flash plugins. You can import photos stored in your computer or from the web by mentioning its address. You can also import photos from flickr using a bookmarklet. Snipshot allows you to export and save your photos in a number of different formats – JPG, PNG, TIF, BMP and even PDF and Photoshop PSD. 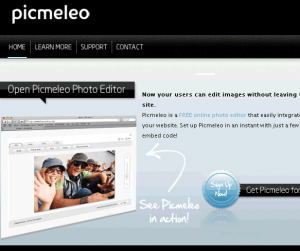 Picmeleo is a free online photo editor that any third-party developers can integrate to their website. 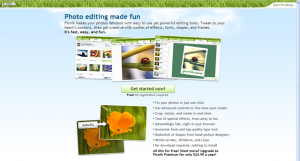 We offer the smartest way to let your users upload and edit images for your service. Integration and ease of use. 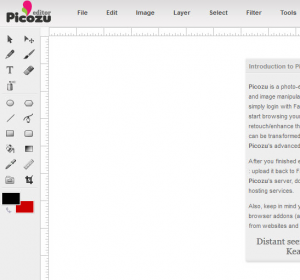 Everything about Picmeleo is designed for easy integration to your website. 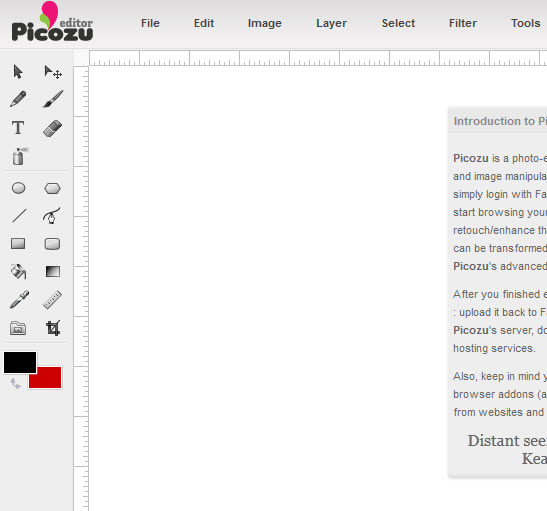 The lightweight editor does not clutter your service and you can also fully customize Picmeleo’s tool box. Embed a picture editor on your website. Allow your visitors to edit images. Pick and choose the tools you want to offer. 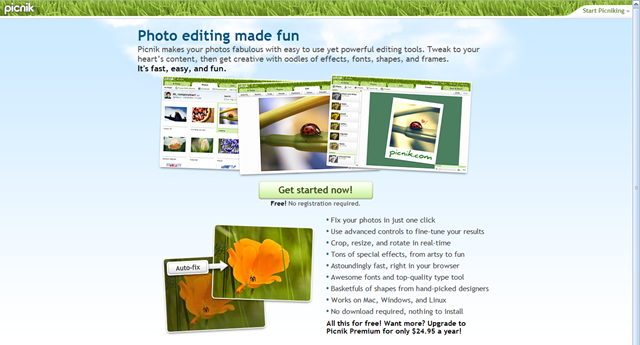 Picnik seems to be the most popular online image editor in this list. The interface of the site is beautiful, responsive and can put many desktop applications to shame. You don’t need to know anything about photo editing to use Picnik. Most noteworthy feature is its integration with other Web2.0 services. You can pull photos directly from most photo sharing sites such as Flickr, Picasa Web Albums, Facebook, Photobucket and pretty much provide any image URL to start editing it. No registration required. · All this for free!